For the past 17 years, twin sisters Liany and Dani Villacis have called New York their home. They arrived with their parents in 2001, at the age of 5, fleeing political persecution and violence in their mother’s home country of Colombia by joining their paternal grandmother, an American citizen who lived in New York. The family entered the United States legally, paid taxes, committed no crimes and renewed their immigration paperwork on time, every time, as they worked toward citizenship. But in November, at a routine immigration meeting, their father was suddenly detained, immediately incarcerated and within weeks, deported. This month, their mother was deported as well. Liany and Dani Villacis, now 22, remain in the U.S. under DACA protection. After watching their parents quickly and inexplicably deported, the sisters are worried they could be next. When the family applied for political asylum after they first arrived in the U.S., they were denied. The sisters blame their first lawyer, who they said failed to mention the political threats they faced in Colombia, arguing instead that their social class made them a target. However, the family was allowed to remain in the U.S. after they were granted and then continued to annually renew a “stay of removal” -- a temporary postponement that prevents the Department of Homeland Security from deporting an immigrant. Every year, the girls would accompany their parents on what became a routine check-in at the Immigration and Customs Enforcement office in New York, where their paperwork would be renewed for another year. But last year’s appointment was different. On Nov. 15, Liany and Dani Villacis’ father was immediately detained and taken into custody, slated for deportation. The sisters say they were not allowed to hug him goodbye. Their mother was granted a few extra weeks, for health reasons, before she would be deported. The sisters, who still live in the home in which they were raised, are now responsible for the house, the bills and caring for their elderly grandmother, something their father did primarily. Both Liany and Dani Villacis recently started new jobs. 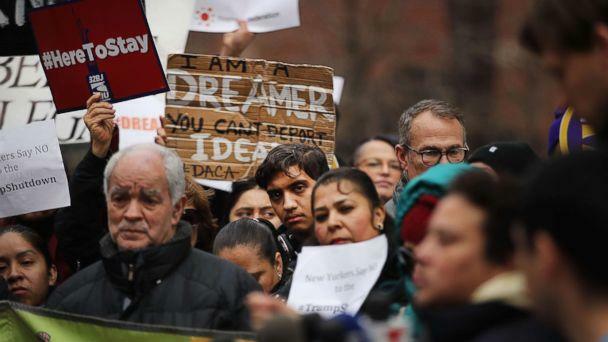 With the Trump administration’s deadline to end the DACA program looming, both are now forced to reckon with the possibility of leaving the only home they’ve ever really known. Download and subscribe to the "Uncomfortable" podcast on Apple Podcasts, Google PlayMusic, Stitcher and ABC News podcasts. 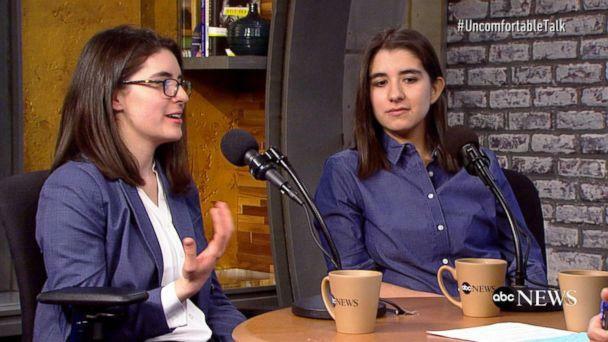 The Villacis sisters were interviewed as part of a series called "Uncomfortable," hosted by Amna Nawaz, that offers in-depth honest conversations with influential figures about issues dividing America.